One of the world’s most famous walls in terms of defensive barriers, the Great Wall of China twists and turns its way along China’s northern border for over 21,000 kilometres. Constructed in stages, the first sections were built in the 7th century BC and over many years have been added upon and rebuilt. Emperor Qin Shi Huang ordered the structure be built to protect China from invasion, and while it didn’t entirely do so, it did enhance the empire’s economic standing. Today, parts of the Great Wall have crumbled into disrepair, but many portions of it still stand tall and attract tourists from around the world. Another one of the world’s most famous walls, Hadrian’s Wall was constructed during the Roman occupation of Britain between 122 and 128BC when Hadrian was the emperor. When it was first constructed, it stood between 16 and 20 feet tall, 10 feet wide and around 117 kilometres long. The bulk of the wall separates what is modern-day England from modern-day Scotland. Historians disagree as to the reason for the wall’s construction, but many believe it was built to keep out Scottish ‘barbarians’. Regardless, it was certainly a defensive military installation, although it also acted as a customs post. Large stretches of the wall remain intact to this day and it is guarded to prevent theft and preserve the remnants. In terms of famous fences from around the world, another one built to impress was built at the luxury villa of Mehmet Ali Gökçeoğlu, an engineer and successful businessman in Turkey. A 50-metre long ‘aquarium’ fence was built at his home to replace steel fencing and is essentially a fully functioning aquarium! This aqua-fence is linked to the Aegean Sea through a 400-metre pipeline in order to keep its inhabitants healthy and happy. Eels, mullets, octopuses, sea bream and sea bass are just some of the marine species found within its watery depths. One of the most popular tourist attractions in Çeşme, crowds of tourists visit this spectacle every summer. Not exactly a fence per se, the Lock Fence in Paris began to be ‘built’ in 2008, when love-struck tourists started attaching padlocks and key locks to the Pont des Arts bridge. Stretching for around 155 metres, thousands of ‘love locks’ contained names and love messages and visitors often threw keys into the river to further demonstrate their unbreakable bond. ‘Threw’ being past tense as unfortunately in 2015 a two metre section collapsed under the immense weight, Paris city officials removed all the locks, and the fence was replaced with glass panelling. One of the most famous walls in history, the Berlin Wall was constructed in 1961 and physically and ideologically divided Berlin until 1989. Separating East and West Germany, it prevented migration from the Eastern Bloc to the west during the Cold War. The barrier included guard towers which were place along its large concrete walls along with a wide area (later known as the ‘death strip’) which contained anti-vehicle trenches and other defences. Between 1961 and 1989 over 100,000 people attempted to escape over the wall and it’s believed the death toll was more than 200 in and around Berlin. In 1989, a series of revolutions in nearby Eastern Bloc countries caused a reaction in East Germany that ultimately resulted in the wall’s demise. The ‘fall of the Berlin Wall’ paved the way for German reunification that took place formally on October 3 in 1990. Located in Fenway Park in Boston is a famous ballpark known as the Green Monster. Home of the Boston Red Sox baseball team, for die-hard fans it’s one of the world most famous fences due to both its size (it’s 11 metres high and 70 metres long) and its bright green colour. In terms of ballpark fences, it was built in 1912 and originally made of wood. In 1934, it was covered in concrete and has since been re-covered with a range of durable materials. The park itself is famous for its exceptionally short 302-foot right field fence, which has led to its reputation as a ‘hitters’ ballpark’. Because of its height, the Green Monster amply protects the park from sneaky intruders and outsiders from flyaway baseballs. 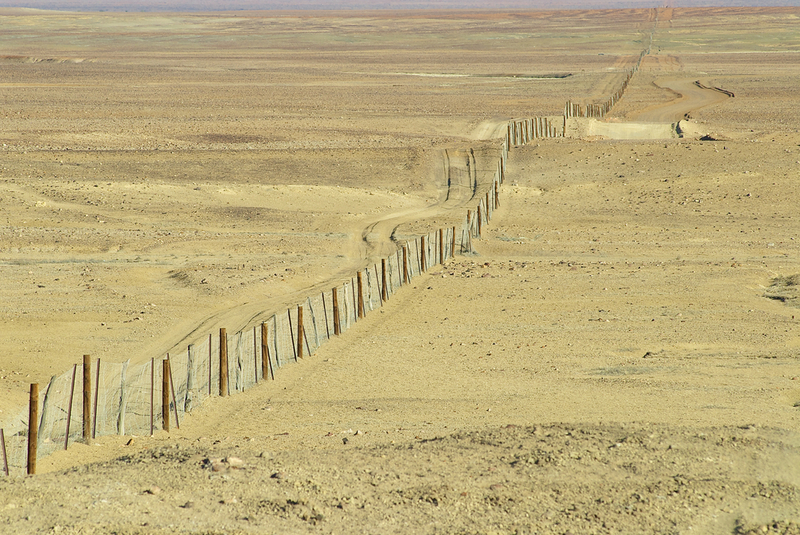 Another one of the world’s most famous fences is actually found right here in Australia. 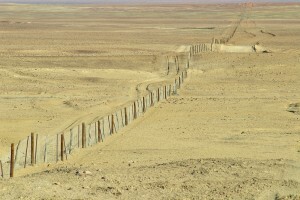 The longest true fence in the world at around 5614 kilometres long, the Dingo Fence was built in the 1880’s to protect sheep from wild dog attacks on southern Queensland ranches. It is so long in fact, that it covers the same amount of distance between London and New York! It stretches from the Darling Downs to west of the Eyre Peninsula on the cliffs of the Nullarbor Plain above the Great Australian Bight. Although the fence has helped reduce losses of sheep, the project has been only partly successful as the removal of predators allowed the kangaroo population to grow excessively and compete with sheep for grazing land. Like to install a fence that may make you famous in your own neighbourhood? Contact the professionals at FenceCorp today on (07) 3715 5055.